I would like to inform you that, after five years of service to our parish, Bishop Daniel Thomas has appointed Father Philip Smith to be the Director of the Office of Diocesan Priestly Vocations, effective July 1, 2017. Out of pastoral care for the parish, it is the Bishop’s intention to appoint a new parochial vicar [associate pastor] to succeed Father Smith at Corpus Christi University Parish and Most Blessed Sacrament Parish, effective July 1, 2017. 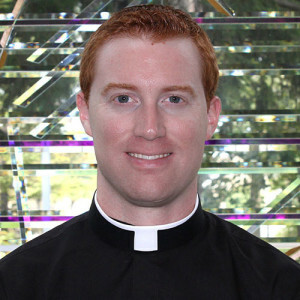 Father Smith will continue to minister here in our parish until July 1. Please pray for him in this time of transition.